The idea of writing a history of Kirkintilloch had casually occurred to me for a good many years past, but several considerations prevented its taking practical shape. My life has not been an idle one—if I may be permitted to say so—and I could not afford the requisite time for such a work—besides, I hoped that some one trained to literature and better qualified, might undertake it. When I left Scotland for New Zealand, ten years ago— with the expectation of leaving my bones in that country —of course the thing passed from my mind. But having in the good Providence of God returned to my native land, and finding the field still unoccupied, while circumstances compelled me to involuntary leisure; the old idea returned, and became a fixed resolution; the result being the present volume. I have been greatly encouraged in my task by the ready assistance and information which I have received on ail hands. There are numerous other writers upon whom I have drawn without the means of acknowledgment, to whom I am none the less grateful. Information has been kindly given to me by the following persons, who have my best thanks:—Miss Gartshore of Ravelston; Lady M'Culloch; Major Graham Stirling of Craigbarnet; John William Burns, Esq. of Kilmahew and Cumbernauld; T. Craig Christie, Esq. of Bedlay; Thomas Reid, Esq. of Carlestoun; James Duncan, Esq. of Twechar; Robert Young, Esq. ; John Inglis, Esq. ; James Hutcheson, Esq. ; David Patrick, Esq. ; Dr, D. P. Stewart; Dr. William Whitelaw; J. M. Slimmon, Esq. ; Andrew Stewart, Esq. ; James Stables, Esq. ; James Main, Esq. ; James Cooper, Esq. ; James L. Motion, Esq. 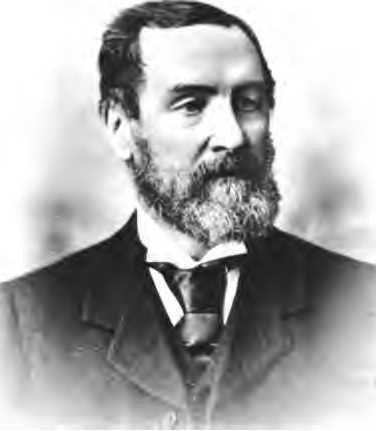 ; Arthur F. Turnbull, Esq. ; Rev. William Miller, Lenzie; Rev. Messrs. John Mitchell, James Caven, William Reid, A. M. Brown, M.A., B.D., T. A. Morrison, David Matthews, W. B. Nicholson, Hugh Y. Reyburn, and Arthur Beyeart, Kirkintilloch; Rev. Messrs. John Burnett and Thomas Somerville, Glasgow; Rev. William Reid, Airdrie; Rev. John Arnott, M.A., Dailly; Messrs. Andrew Lawrie, Andrew Matson, G. L. Anderson, Robert Watson, John Goodwin, John Thom, Robert Miller, John Balloch, Andrew Jarvie, Andrew Whitecross, and many others. It has given me much pleasure to find that Kirkintilloch is associated with such men as King William the Lion, as well as King Robert the Bruce and his companions-in-arms who achieved the independence of Scotland. My aim has been all along to make the work as comprehensive as possible; and to gather together everything connected with the subject that would be likely to interest the most numerous class of my fellow-natives, who have not had means nor opportunity to see or study records of past events; and it is for them I write. With this motive, I have endeavoured to place on record all who have given the benefit of their services to the community in any way, and that without considering their condition in life. I must beg the forbearance of my readers with the defects of my work, which is only that of a “'prentice hand,” and trust that nevertheless they may experience, in reading, a part of the pleasure I have had in writing it. Especially do I hope that it may be the means of recalling and preserving to the natives of the parish now scattered over the world, scenes and circumstances which are rapidly passing into oblivion. And I further trust that my humble endeavour may induce some savant to follow me; and as he will be able to plough deeper than I have done, in a soil so rich he need have no fear of the result of his labours.